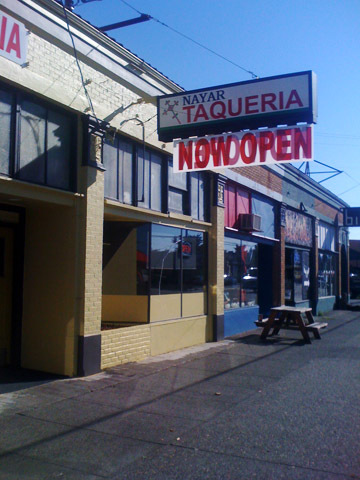 Nayar Taqueria is on Foster, at SE 59th ave. It has replaced another taco shack that used to occupy the space. I was excited to try a new place, and was rooting for them! 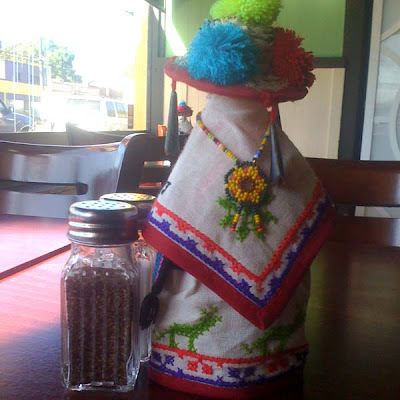 They offer modest decor and typical taqueria fare. A chile relleno... and steak? Together... in a burrito? Yes please! I couldn't pass up that ridiculously delicious sounding combination! 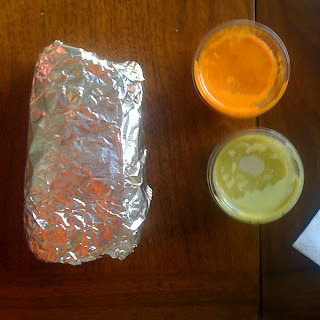 My first impression was that the burrito seemed small. However, the enormous salsas may have messed with my perception. 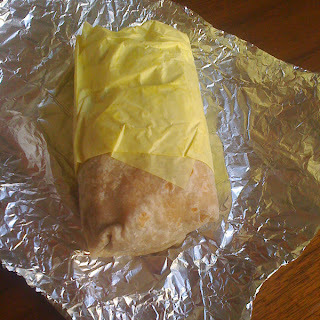 Upon taking my first bite, I noticed a strange texture. The steak was chopped into minuscule grey bits, which were intermixed and disguised within the other ingredients; forming a chewy, dare I say gristly, undertone to each bite. While the chile had been roasted, the skin hadn't been removed, giving it a fibrous, unfinished essence. The cheese in the center was greasy and rubbery. 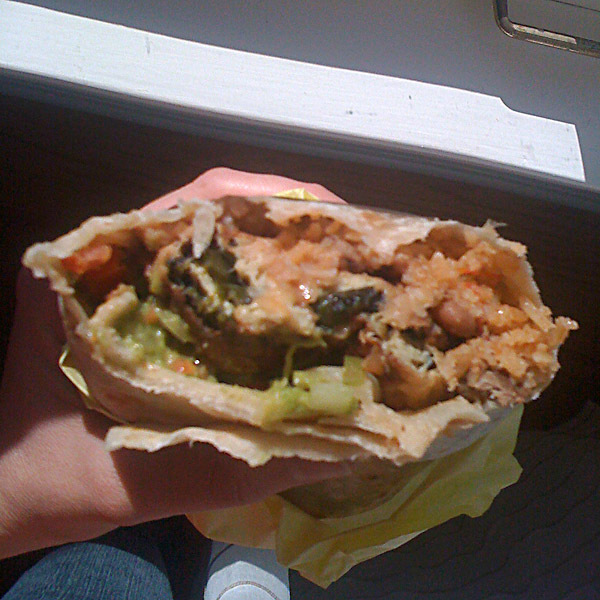 The guacamole was the diamond in the rough, pulling through with its creamy freshness, yet still lacking any substantial amount of flavor. The beans and rice were forgettable. With so many strange textures going on, and no spice; this burrito had too much, yet not enough, going on. I wanted to like it, but want often leads you astray. Probably not. I hope they get it together though!